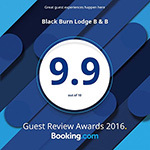 Black Burn Lodge Bed & Breakfast > News > General News > Our red squirrel is back! What a fabulous 2 days in this stunning home. Such fun enjoying the location and wildlife.